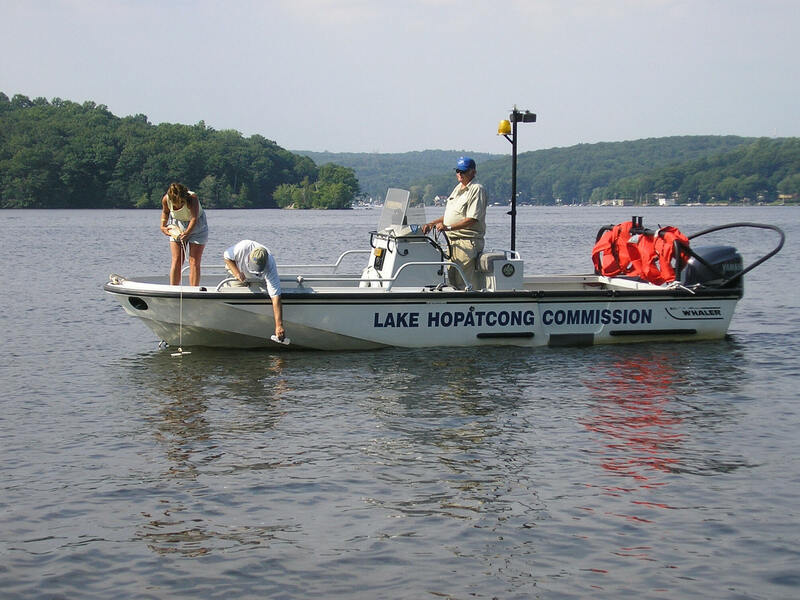 Effective May, 2010 the Water Quality Monitoring program will no longer be funded through the Commission's operating budget since the Commission has not received a State budget appropriation to continue its legislative mandate to protect Lake Hopatcong. The Water Quality Monitoring program for 2010-2013 will be funded through a SFY2010 NJ DEP 319(h) non-point source pollution grant. The water quality monitoring program is conducted by the Commission's Environmental Consultant, Princeton Hydro, LLC. In-lake monitoring takes place during the growing season from May through September each year at eleven locations. Beginning in 2006, supplemental monitoring will be done at near shore, in-lake sampling stations to assess the water quality benefits associated with the Best Management Practices (BMP) structures to be installed as part of the Commission's 319(h) grants awarded by the NJ Department of Environmental Protection (NJDEP). In 2010, three additional in-lake stations were added to assess the water quality improvements associated with additional grant projects funded through a SFY10 319(h) grant. 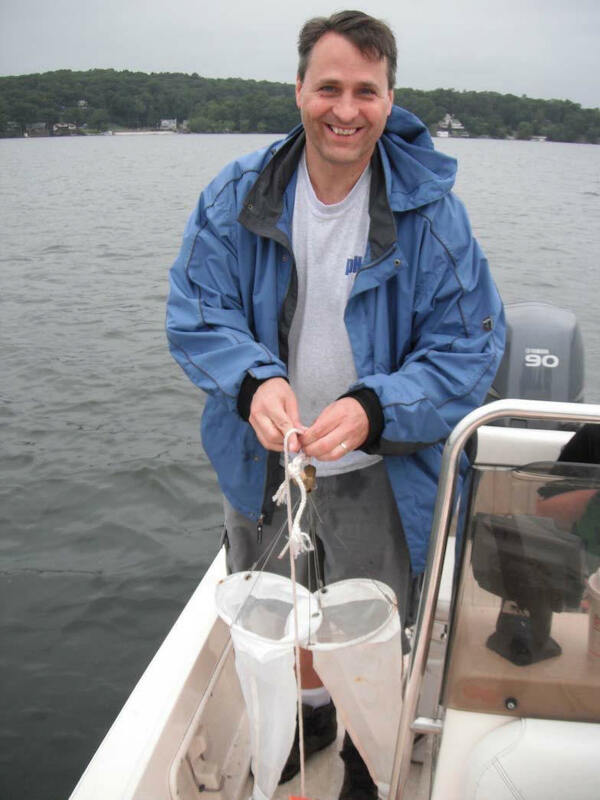 In 2006, the Commission staff received approval through two Quality Assurance Protection Plans (QAPPs) from NJ DEP to collect baseline (non-storm events) water quality samples from tributaries that drain into Lake Hopatcong and to collect composite stormwater samples from locations that have been selected for the installation of specific BMPs. In 2007, the Commission began additional sampling in conjunction with the U.S. EPA Targeted Watershed Grant (TWG). Additional stormwater sampling is done near seven additional sites around the lake. Also as part of the Commission's effort to promote the use of Lake-Friendly Fertilizer, another component of the TWG is to conduct sampling to collect surface runoff from lawns that have been treated with both phosphorus and non-phosphorus fertilizer in order to measure the difference in the amount of phosphorous entering the lake.